David Gardiner is a UK political and public policy adviser based in Edinburgh. 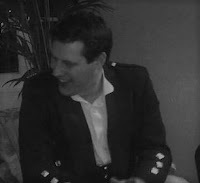 David has previously worked as an adviser to the UK Government in Whitehall, a policy adviser to the Scottish Conservative and Unionist Party and Deputy Director for Research in the Better Together campaign, which successfully campaigned for a 'No' vote in the 2014 Scottish independence referendum, retaining Scotland's position in the United Kingdom. He stood in the 2017 UK general election as the Conservative and Unionist candidate in the Paisley and Renfrewshire North constituency. David holds a Bachelor of Laws with Honours and a postgraduate Diploma in Legal Practice earned between the Universities of Dundee and Aberdeen.